Capall Dorcha Ensemble is our educational outreach theatre classes that take place throughout the year. We have weekly youth theatre classes, spring and summer youth theatre workshops, adult play reading sessions, dementia friendly events and many more events throughout the year, for more information see whats on. Capall Dorcha Ensemble Adults is our educational outreach theatre classes for those aged 16+ who wish to take part in development classes including script reading sessions, writing groups and drama classes with theatre performances. Find out more and see whats on. These workshops are aimed towards participants who are looking for a higher level of experience in drama and the theatre industry. Perfect for participants who would like to build on their artistic skills, gain more theatre experience and will help those who are thinking of applying for drama school or theatre courses. Capall Dorcha Ensemble is a registered Arts Awards Centre based in North Ayrshire. Arts Awards offer unique qualifications that support young people to grow as artists and arts leaders giving them accredited qualifications via Trinity College London. Our Professional Development Workshops are FREE to all P5-S6 participants - limited spaces available. Capall Dorcha Ensemble MembershipFrom as little as £12.50 a year members of Capall Dorcha Ensemble members will receive a discount for participating in Ensemble. Charged once a year this membership offers each Ensemble member to have their say on how our organisation is run, what services we should provide and support Ensemble further impacting in our local community engagement. It is our way of thanking you for helping us! How to get your Ensemble membership:No matter where you are from, join us online by signing up to our Ensemble membership, our Joinit account connects to your Eventbrite account so that when you register for our services, you are automatically provided with the reduced cost when purchasing classes. We will then add you to our exclusive member's mailing list to which you will have access to our member-only events! Group Membership:For parents with two or more children who wish to join our Ensemble membership, we have created a membership especially for you and included a sibling discount when registering your membership. Charged once a year this membership offers you all the same benefits as our Ensemble membership, allowing you to have a say in how our organisation operates and in return a discount to all our classes and events, it's our way of supporting families for supporting our organisation.From as little as £23.30 our Ensemble Membership x2 is for parents with two children in which you will receive a 10% sibling discount on membership. Our Ensemble Membership x3 is for parents with three children costing £29.30 in which you receive a 20% sibling discount on membership. North Ayrshire Carers Appreciation Card.There are an estimated 1400 young people who are young carers living in North Ayrshire and Arran between the age of 8-18. Capall Dorcha supports the North Ayrshire Appreciation Card by providing all cardholders with a 10% discount to Ensemble Membership. A Local Membership to a host of Theatre Arts Activites.Do you live in the Ardrossan Central and Northeast area? You can enjoy Capall Dorcha Ensemble right on your doorstep from as little as £3 per session with our Ardrossan Central and North East Membership. If you have any questions or require further information, please contact us below. How to get your FREE membership:If you live in the Ardrossan Central North East area simply register your details online and we will do the rest. Your membership will link to your Eventbrite account allowing you to access our services at a cheaper rate. 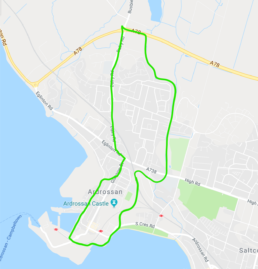 Ardrossan Central and North East Membership This membership allows a cost reduction to Capall Dorcha Ensemble services to those living in the Ardrossan Central and Northeast locations as shown on our map. This offer is valid for free, with one membership per person. This proposal is separate from Ensemble membership and is valid for one year, which can be renewed for a further two years as long as the participant is living in the area. Ardrossan Central and North East members can become Ensemble members separately to access exclusive member benefits. Ensemble Membership Is for the sole use of the individual who is participating in Capall Dorcha Ensemble. This cost entitles the participant to a reduced rate for attending Ensemble and provides opportunities for them to have a say in how the organisation is functions. This one-off fee is charged once per year and reoccurs until a member leaves the membership. If you have any questions or require further information, please contact us below.